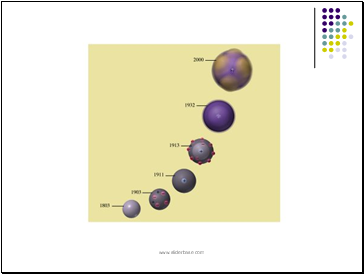 Democritus a fifth century B.C. 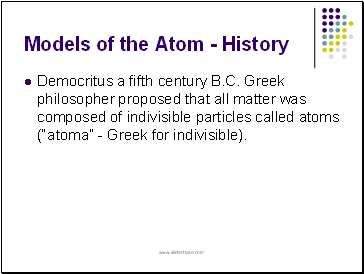 Greek philosopher proposed that all matter was composed of indivisible particles called atoms (“atoma” - Greek for indivisible). 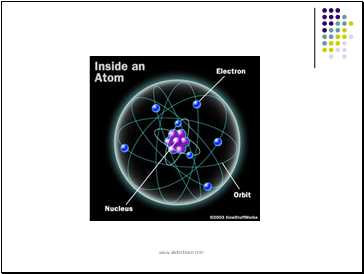 viewed the atom as a small solid sphere. 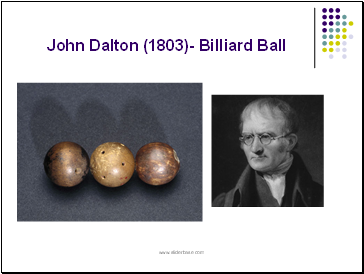 He really got the "ball" rolling for modern chemistry! 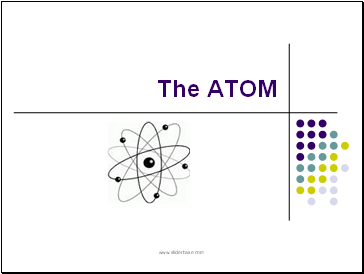 Each element was composed of the same kind of atoms. 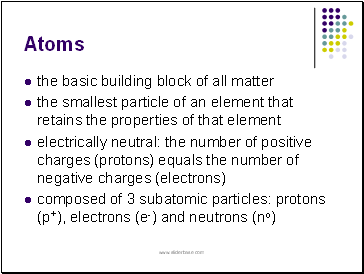 Compounds are composed of atoms in specific ratios. 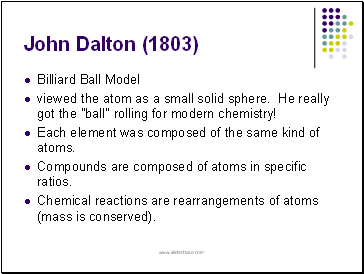 Chemical reactions are rearrangements of atoms (mass is conserved). 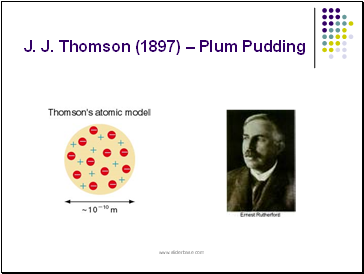 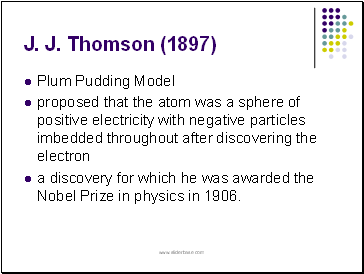 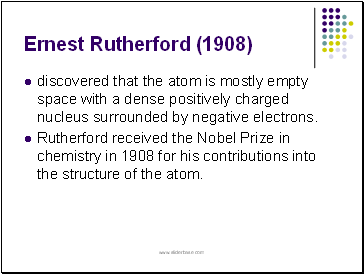 a discovery for which he was awarded the Nobel Prize in physics in 1906.
discovered that the atom is mostly empty space with a dense positively charged nucleus surrounded by negative electrons. 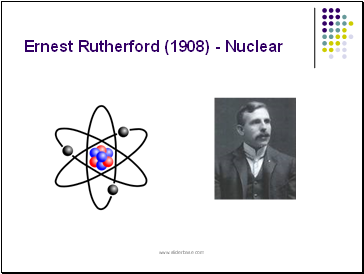 Rutherford received the Nobel Prize in chemistry in 1908 for his contributions into the structure of the atom. 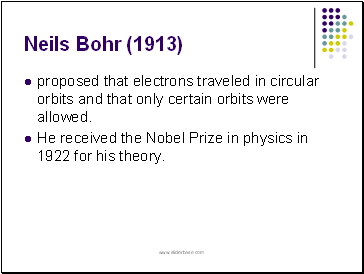 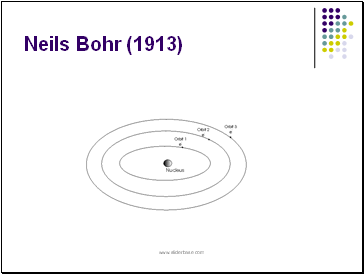 proposed that electrons traveled in circular orbits and that only certain orbits were allowed.